Mera Peak is considered one of the major and popular trekking peaks in Nepal. The Peak itself rises to the south of Everest. The ascent of the peak is technically straightforward, however, the heavy snow and the maze of crevasses can make the way longer to the summit. Among the peaks of Nepal, Mera (6,461meters) is the highest permitted trekking peak. Mera Peak is situated to the south of Everest dominating the watershed of the thickly wooded and remote Hinku valley. Climbing Mera peak boasts a stunning panorama of five of the worlds 8000 meters peaks- Kanchenjunga, Makalu, Cho-Oyu, Lhotse and of course Mt. Everest. Mera peak climbing route ascends through the standard northern Mera La after a few days of acclimatization hike of surrounding peaks and climbing clinic sessions briefed and instructed by experienced mountain experts on techniques and use of climbing gears so that you acquire the necessary skills and confidence to summit the Mera peak. It takes about 9-10 hrs by bus to get up to Jiri. On the driving day from Kathmandu to jiri you will be passing through beautiful mountain. Crossing over the rivers and green scenery you will reach Jiri. It takes about 8 hrs to get to Bhandar. On the way you can see jiri village and you will pass through pine forest/ Bhandar is a mixed village. Day 05 Bhandar- Sete (Approx. 2500 m) It is also downhill and uphill walk up to seti. It takes about 6-7 hours to reach seti. Day 06 Seti- June Bensi (Approx. 2600 m) It takes about 6-7 hrs to get to juni Bensi from Seti. From Seti to lamajura pass it is up hill and after lamajura pass the trail goes downhill. June Bensi is famous Sherpa village and you can visit the Buddhist monastery and you can get the view of Mt. Number. It is 6-7 hrs walks between juni Bensi to Nuntha la. If the weather is clear you can have a view of world highest mountain “ Everest” from the place called Salung, which is on the way from juni Bensi to Nunthala. You will also be passing tak sindu monastery on this day. Bupsa is a beautiful place to see the village view. It is downhill from Nunthala up to Dudkoshi River and after Dudkoshi River it is up hill to Bupsa. It takes about 6-7 hrs to get to Bupse from Nunthalaa. Lukla is a big and busy town because it is also the get way to Everest. 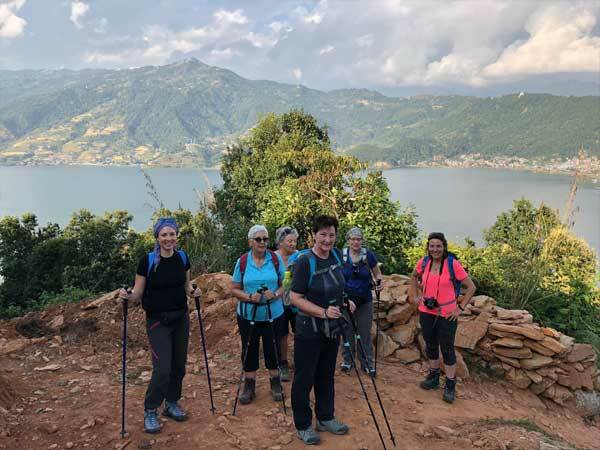 On the way from Bupse to lukla you will be passing through jungle, village and can have the view of Konde peak and Karyulung. 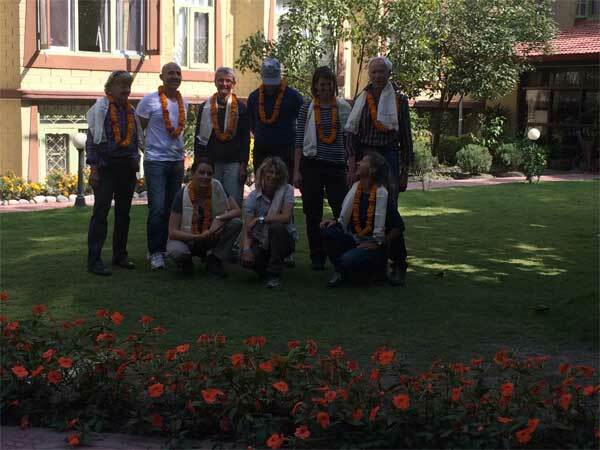 On this day you will meet less trekkers because we will have left the main trail, which goes to Everest. On the way you can see Rhododendron, juniper trees and green scenery. It is four hours walk. From Chutanga to Chatara la it takes about 5 hrs. You need to cross over the pass called Chatara pas. It is climbing up hill up to the pass. You can see Mera peak, Charpate himal, Kusum Kangaru and other trekking peaks. It is 5-6 hrs to kote. You will stay overnight along the riverside. From Chatra to Kote is down hill walk and you will be crossing through forestage and you can have a look on Mera peak from some places on the way. It is medium walk from 4.30 hrs. In this day you can have great view of Mera- Mera la glacier and other mountain as well. Thakna is a small Sherpa village. From Thankna you can do a day hike as well. This is an up hill trail for about 4 hours. You can have very close view to Mera peak and you can see the nice view of Makalu, Barunche and many other peaks. Check you climbing gear and if you like do days hike Day 17 Khare-High camp (Approx. 5800 m) It is seven hours from Khare to high camp crossing over mere la and glacier. From Mera la you can see the nice view of Makalu, Barunche and many other peaks. It takes about 9 hrs to go to mera peak and back to mera la from high camp. From the top of Mera peak you can see panoramic view of Mt. Everest, Makalu, Amadablam, Barunche and others. It takes 6-7 hrs downhill walk from mear la to Thakna. It is easy day just 4 hours walk and relax. It takes 6 hours climbing up to Chatara la. You will have the last view of Mera peak from here.